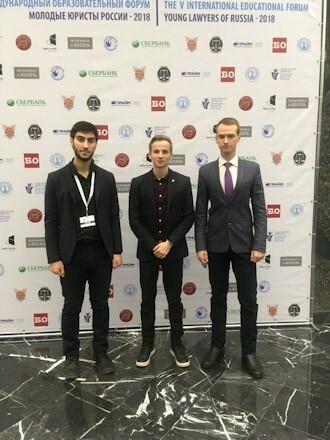 ASU students take part in the V International Educational Forum "Young Lawyers of Russia – 2018"
Students of the Institute of Law at Altai State University, Ulvi Aliyev, Victor Borisov, Vladimir Valkov and Yulia Kolpakova took part in the V International Educational Forum "Young Lawyers of Russia – 2018", which was held on December 3–4 in Moscow. The forum was devoted to the following topical issues: human rights activities and non-governmental oversight, legal professional standards and education, practical jurisprudence, Russia in 2030 (global changes in law, economics and society). 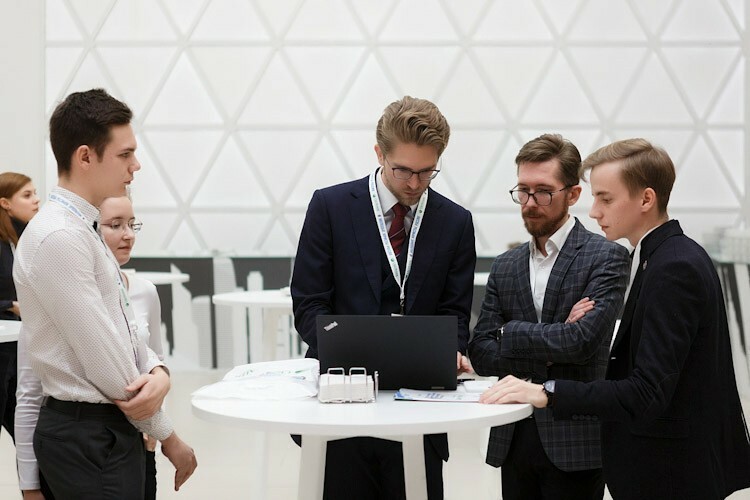 Despite the fact that the forum lasted only two days, the audience managed to discuss a lot of topics: from the evolution of robots as effective assistants for lawyers in professional legal activities to reflections on what the lawyer will look like in 2038. In addition, the program was full of speeches by well-known practicing lawyers, who shared their knowledge and spoke about new trends in law. “I really liked the forum due to high level of organization and great choice of speakers. The speakers were Anatoly Kucherena , Sergey Zhorin , Ilya Novikov. There were al so foreign guests, such as Jakub Čech, a lawyer from Slovakia. 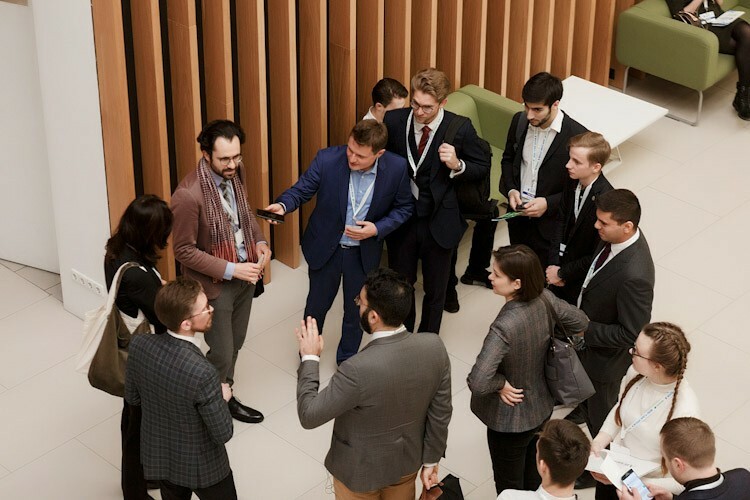 I especially remember the discus sion about the lawyer of 2038 with Andrei Knyazev and the interesting lecture by Yannick Meneceur, policy advisor on digital transformation and artificial intelligence at the Council of Europe. In general, I learned a lot of useful and relevant legal information in two days, as well as the agenda for the near future. The trends of digitalization and robotization of legal processes should not be intimidating, but, on the contrary, should encourage continuous learning and improvement. 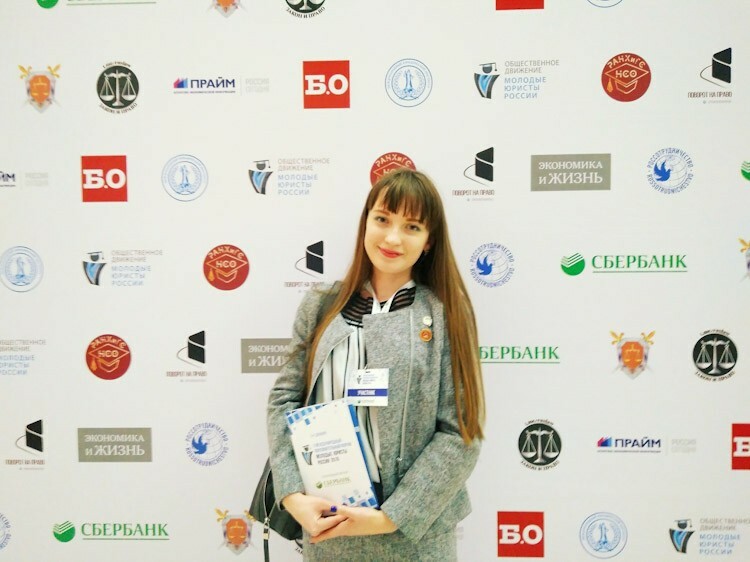 I express my deep gratitude to the organizers of the forum for the invitation and worthy reception, and to the Institute of Law and the University for the opportunity to attend such an event in the capital of Russia on the Lawyer's Day,” Yulia Kolpakova said. “The trip was beautiful and left only vivid memories! The forum was aimed at discussing the most pressing issues of jurisprudence development in the 21st century related to the active digitalization of the economy. The forum gave me the opportunity to assess the prospects of introducing the technology of artificial intelligence, blockchain and Big Data into law. Of course, the forum was an excellent opportunity to make new acquaintances (including foreign lawyers). I gained invaluable experience, which, undoubtedly, will be useful to me in the future,” Victor Borisov noted. Another important fact is that the results of the forum are not only theoretical, but can also be applied in practice. The ways to solve the problems proposed by the experts will in the future help integrate new technologies into the legal system. In addition, such events contribute to the development of student science and expanding horizons. “Attending such events allows understanding the main trends in the field of jurisprudence. Leading lawyers share their thoughts on how to solve certain problems in practice and eliminate contradictions in legislation. For students it is especially important that you can choose an interesting topic for research, which will be relevant in the near future. Every time we return from the forum, we try to discuss the received information with our teachers, thereby forming the position of our institute,” Vladimir Valkov said. In general, the students noted that the trip was interesting and productive. “The trip was great. We met with foreign speakers who gave valuable advice. Now it remains to apply the knowledge and experience in our own careers.” Ulvi Aliyev concluded.